I bought Enclave when there was a .99 cent ebook sale a while back and for some reason I just kept putting off reading it. It just haven’t been in the mood for a dystopian. I finally forced myself to be in the mood but for some reason Enclave and I just didn’t click. I think it begins with the world building. Enclave suffered from a lack of information. I had no idea why the world ended. The reader is thrown into an underground society; we have no idea how long the society has been there, why they moved underground, nothing. I went along with it thinking we would get some information later. But later never comes. I finished the book and it wasn’t until the authors note that I figured out where Aguirre was coming up with her ideas for the dystopian society. The authors note really should have been incorporated into the story somehow. I also had a hard time connecting with the characters. At first I really liked Deuce (aside from her name which is strange) she is strong, independent, a huntress. I liked that about her but as the novel progressed I didn’t see a change in her character. There was no softening or realization that her society is corrupt. I waited for her to have that awakening moment but she didn’t. I also wasn’t a big fan of Fade. I liked him alright but I never got the feeling I knew him, he didn’t open up he remained silently stoic. I think the only real character I was ok with was Stalker and that’s because he was nothing more then what he said he was. He was blunt, took what he wanted, and is clearly out for number 1. I guess I respected that about him, even if I didn’t personally like the guy. The romance while it wasn’t my favorite thing didn’t bother me. I liked Fade well enough that I wanted to see him happy. The potential love triangle between Deuce and Stalker was strange but like I said before Stalker is out for #1 so it made sense. When it turned into this weird sort of love square by adding Tegan I started to tune those parts out. The romance was a small enough part of the story that it didn’t matter. What really bothered me was that every time Fade showed interest in a girl other then Deuce that character was suddenly killed off. The first time I let it slide understanding it was a clever way to cut out competition, but the second time it was just weird, and by the end when the third girl to show interest in Fade was on her deathbed I felt like laughing an odd response to have to a characters impending death (I guess the moral of the story is don’t have a crush on Fade). Another problem I had with Enclave is that while a lot happened nothing happened. There was no real plot arc and the novel was short. 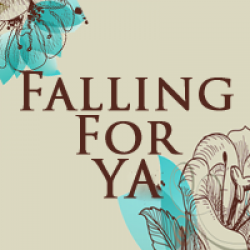 The ending felt weird like the story should have continued, I wasn’t even a cliffhanger it just abruptly ended. Making the story in to a trilogy feels forced. At 203 pages the ebook was on the short side and easily could have continued. 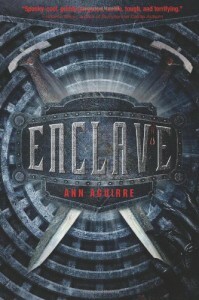 Overall, I didn’t hate it and I didn’t love it I feel oddly indifferent about Enclave and so I feel indifferent about picking up the sequel. If a copy falls in to my lap I will read it, or if there is another good ebook sale I’ll pick it up but I’m not going to go out of my way to read Outpost.